round the corners and start placing the photos on your plastic sheet. Fill empty pockets with project life cards that go well with your theme. 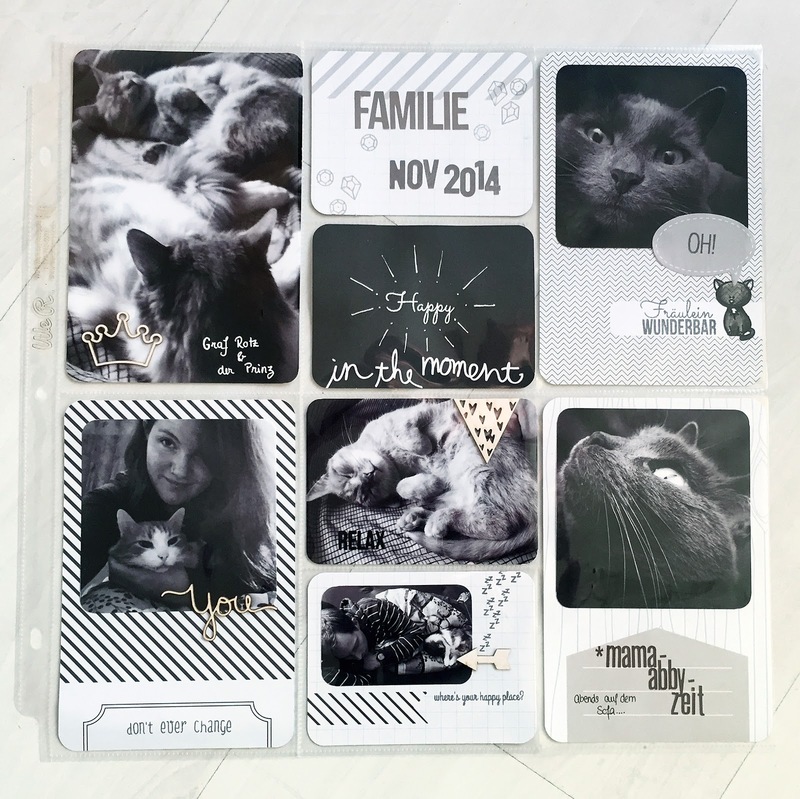 pick some stamp sets and sentiments that go well with the photos. Use ink that matches the PL sheets and/or photos. Add some stamping and add thought by handwriting them down. finally add a few embellishments. So, these are my first experiences and I still have to learn a lot. if you know great PL artists (or create PL-pages yourself) please leave a comment and share some inspiration! I have a bunch of Project Life stuff but still afraid to try it! You gave me courage to go for it! Love your page! It looks great! Great page!! Now that you started keep going, it's a rewarding hobby.